Imagine visiting a country where the locals are still curious to know more about foreigners. Think of a place where time seems to stop, stress disappears and your heartbeat feels like it has slowed down a notch to adjust to the slow-paced lifestyle. This is what every trip to Laos feels like. Get away from the cities and enjoy off-the-beaten-track holidays to come in touch with the real Laos. With beautiful limestone cliffs and the enchanting Mekong River as your backdrop, you have the perfect setting for picture-perfect holidays. Add village homestays and spectacular natural beauty into the mix and life really begins to start feeling like a fairytale. Fast and reliable internet can be hard to come by in Laos. To be on the safe side, print your hotel and transport confirmations ahead of time, and carry a physical map. While many Asian countries encourage you to eat with your hands, this is not the case in Laos. Use chopsticks if you can. When eating out, be careful of “happy pizzas” or “happy shakes”. These foods are “happy” because they are laced with drugs, normally mushrooms or opium. Even on hot days, be sure to bring something to cover your shoulders and knees for visiting monasteries and other holy sites. Laotians really value politeness. Be a respectful tourist. Don’t take pictures of locals without asking (especially monks), avoid pointing, and always take your shoes off before entering a temple or someone’s home. Things run a bit slower in Laos - that goes for the people, the service, and the public transportation. Kick back, relax, and count time as the locals do. 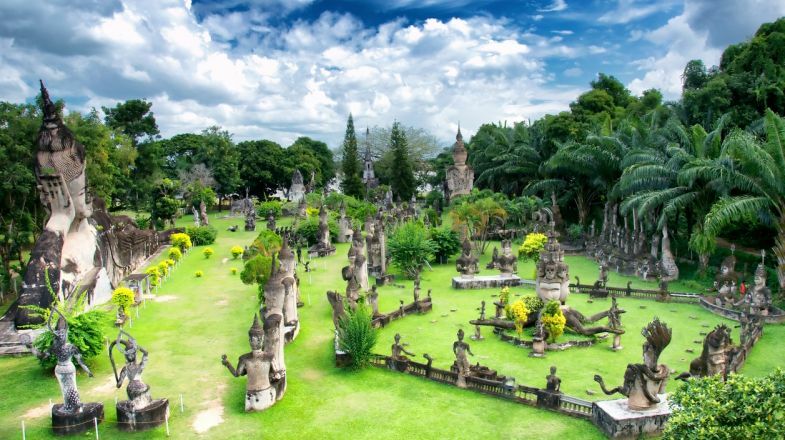 Laos has seasonal weather so please do check up on the best time to visit Laos before planning your tour.